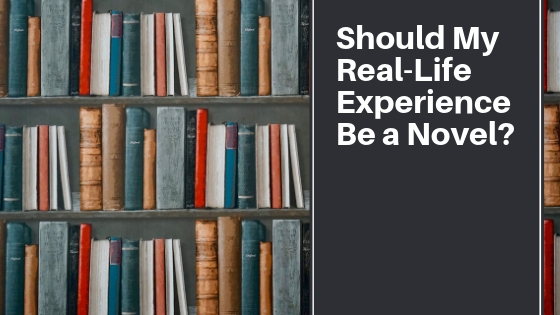 Should My Real-Life Experience be a Novel? We all have unique experiences. You may have had an extraordinary or traumatic experience. Either way, it happened to you. But should it be a novel? Before you plan out the plot, action, and characters, stop to think about this question. All stories, to some extent, are based on a person’s experience. It’s how authors handle the facts that draw the line between fiction and memoir. Before you do any writing, however, keep the following tips in mind. Get permission. Let’s say your story takes place on your Uncle Arthur’s farm in the Midwest. Do you have permission to use him (or his farm) in the story? If they are ok with your story, it’s alright to include real facts within it. For instance, your character may be molded after Uncle Arthur. The character may have years of farming experience, was born on a farm and so forth. Yet, consider the flip side as well. If Uncle Arthur says no to having anything to do with your novel.You should respect that. Should you print anything without his consent, he could have grounds for a legal battle. Instead of using Uncle Arthur by name, change his name and change details about him. If Uncle Arthur has red hair and wears his ball cap backward, create a character with brown hair that wears a cowboy hat or straw hat. If your uncle is heavy set, have your character be slimmer. This way your family will not realize who you are writing about in your story. You can still write the facts but have a fictional twist. Do your research. If you’re writing your story based on your perspective and your facts, there won’t be much research. But let’s say you were at an event that made international headlines, such as the World Trade Center on 9/11. You can still write fiction from your perspective, but you have to respect your readers. The majority of them that will read your story either was there as well, had family there or heard about it on a news station. They know the facts of that day and what happened. If you don’t know the facts, this makes you less credible as an author. Protect the privacy of your characters. Writing fiction based on real life means that real people will star as your characters. If one of the real-life people is Jessica Jones, for instance, don’t just change her name to Janice Jones. Instead, change both initials. This way she is not likely to know the character was based on her. For instance, a name change to Kendra Andrews could work just fine. But names are just the surface of the iceberg. Change all the details about the real-life person. If the real-life character has blonde hair and sea blue eyes, give the fictional character green eyes and brown hair. Change the character’s background, economic status and experiences as well. Relate your story to your reader. Finally, make your reader care about your story. Drive the theme of your story home for the reader. Compassionately make them understand why they should care the character was seeking adoption of their child or that they went on a long journey to find true love. If you relate your story to reflect real life experience, you’re going to have a much better chance of drawing your readers into your story and keeping them until the last page. What are other methods you have used in your real-life to fiction stories?